Dana Billman, Sharyland Pioneer FFA, waits to show her goat Alfredo during the goat and lamb judging at the South Texas Agricultural Roundup at Edinburg Municipal Park Friday, March 1, 2018, in Edinburg. 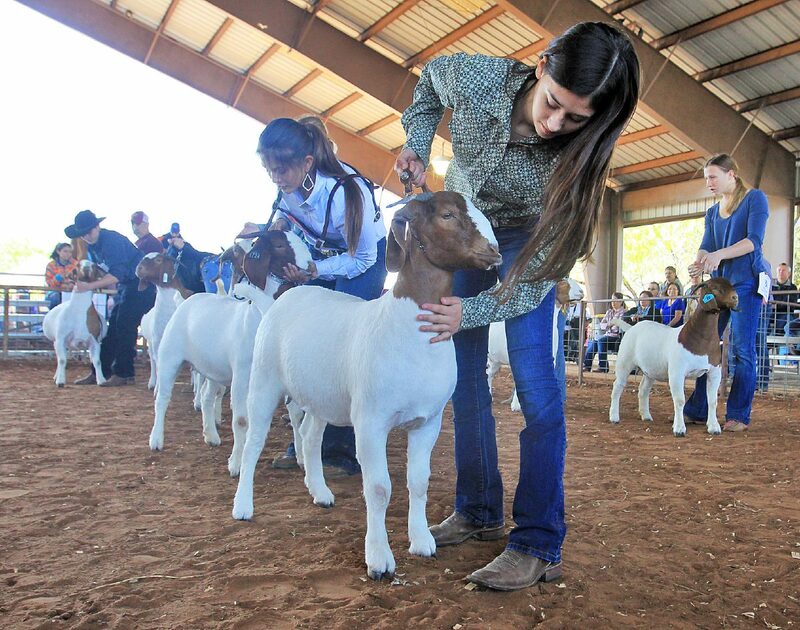 EDINBURG – For Future Farmers of America and 4-H members Thalia Ochoa and Dante Rodriguez, raising and showing livestock has been in their blood for years. Ochoa and Rodriguez were just two of about 100 elementary, middle school and high school 4-H and FFA members from Hidalgo County that assembled Friday under the north pavilion at the Edinburg Municipal Park for the annual South Texas Agricultural Roundup. Ochoa began exhibiting cattle when she was just 6 years old, attending school in the Sharyland school district. Now 13, she is a member of the Sharyland Pioneer FFA and said she’s already gained much experience and is proud of what she has accomplished. Dressed in cowgirl apparel with colorful designer boots and a polished belt buckle on her waist for the competition, Ochoa’s experience in showmanship is evident. Over the past seven years, she has brought home a number of championships and other awards. 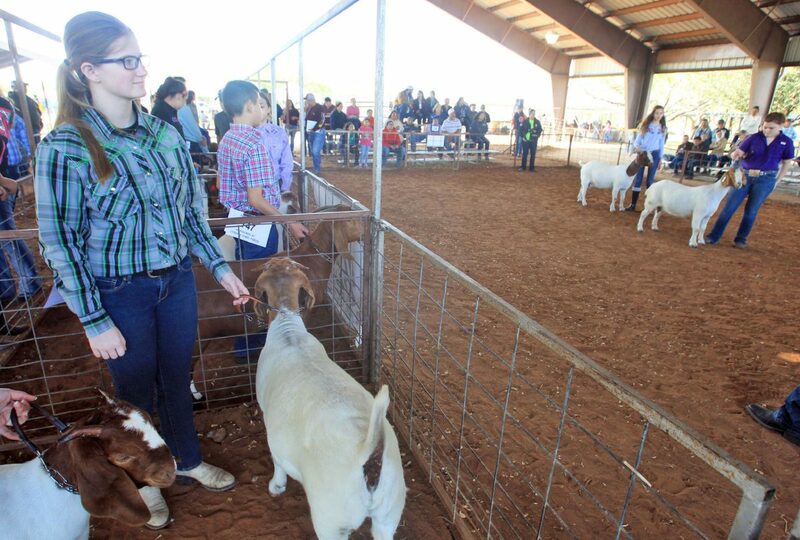 Casey Guerra, Edinburg North FFA, shows her goat "Ms Twist" during the goat and lamb judging as part of the South Texas Agricultural Roundup at Edinburg Municipal Park Friday, March 1, 2018, in Edinburg. 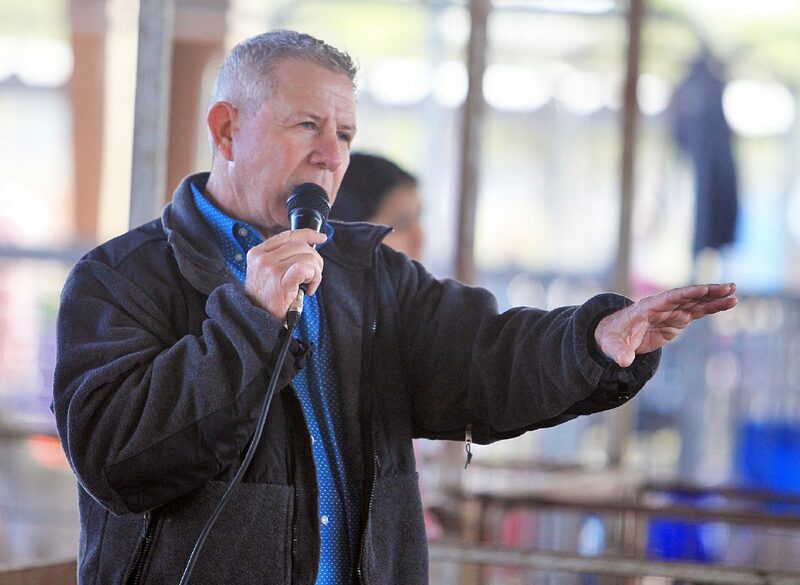 Livestock judge Jim Missildine comments to those showing their goats during the goat and lamb competition at the South Texas Agricultural Roundup at Edinburg Municipal Park Friday, March 1, 2018, in Edinburg. 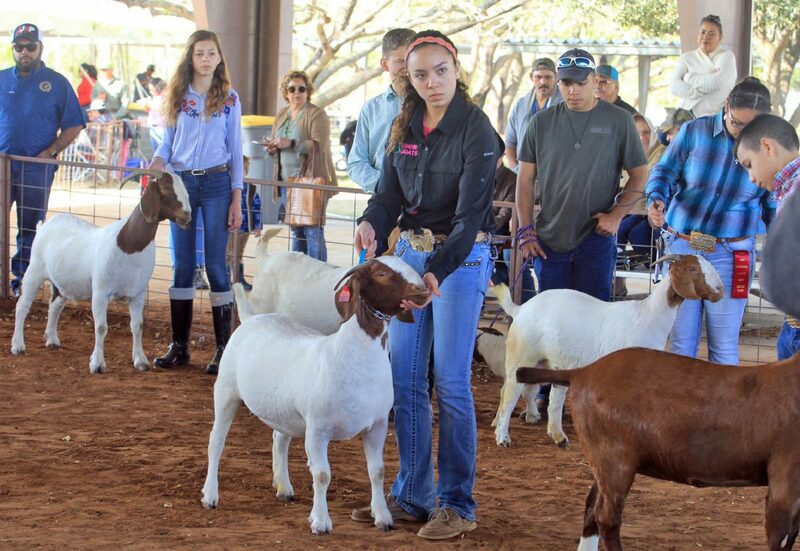 Thalia Ochoa, Sharyland Pioneer FFA, center, shows her goat "29" during the goat and lamb judging during the South Texas Agricultural Roundup at Edinburg Municipal Park Friday, March 1, 2018, in Edinburg. Goats are judged during the goat and lamb competition as part of the South Texas Agricultural Roundup at Edinburg Municipal Park Friday, March 1, 2018, in Edinburg. This year she exhibited two breeding goats. One of her goats won first place in the breed championship. 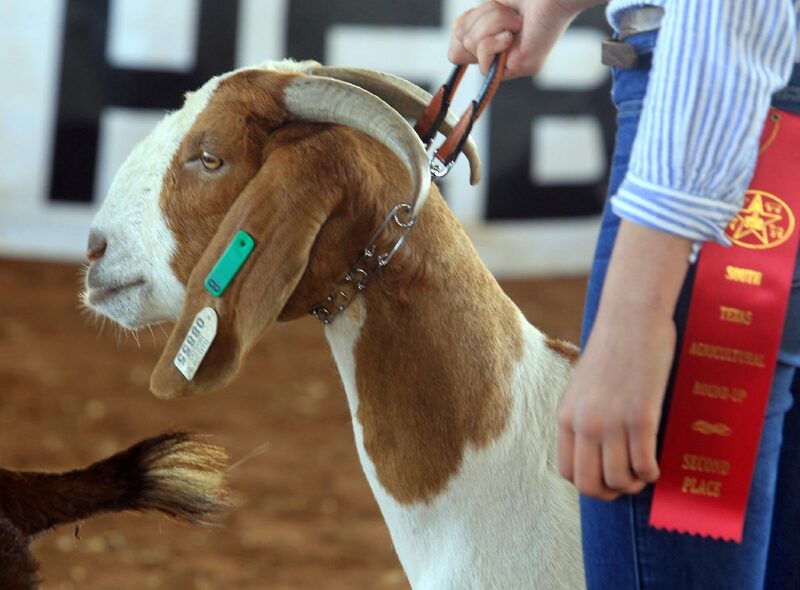 In addition, her other goat won first place in its division. She began with goats because her grandfather had goats on his property and she just stuck with that. “Last year, I won supreme grand champion at this show and then 2016, I won with grand percentage and grand full blood, so I took the whole show in Mercedes,” she added. The week-long roundup also featured breeding and market cattle from heifers, swine (pigs), rabbits, goats and lambs. Rodriguez, 11, is also a member of Sharyland FFA and showcased a breeding goat at this year’s roundup, winning breeding goat showmanship. “It’s fun to do and I get to spend time with animals,” he added. After the roundup, he will also exhibit his animals at the Rio Grande Valley Livestock Show. Jim Missildine, originally from Marion, Texas, was a judge for the breeding goats and has 45 years of agricultural experience under his belt. He was an agricultural science teacher for 29 years and has taught selection and evaluation of livestock at Texas State University for the past eight years. The South Texas Agricultural Roundup wraps up Saturday with a premium auction starting at 8 a.m. at the Pharr Events Center. South Texas Agricultural Roundup is a nonprofit organization that provides youth an opportunity to learn and develop life skills through the extracurricular activities such as 4-H and FFA programs.